How to know whether you are obese? Do Malaysians really love their children very much? If they do, why are they not doing anything about their children’s growing health crisis caused by overweight or obesity. 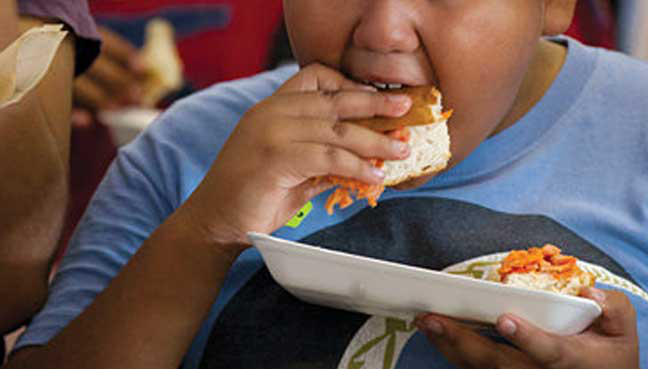 “According to the UN’s Food and Agriculture Organisation (FAO) in Bangkok, the number of overweight children under five rose 38% between 2000 and 2016 in AsiaPacific,” Gerakan Deputy Speaker Syed Abdul Razak Alsagoff said. “That means almost 40% of our children are overweight and unhealthy. Isn’t that a cause for concern?” he asked. He said food may be difficult to control with children but “at least they (parents) should try and help them grow up healthily”. “Control their intake of carbohydrate food, quality of food and encourage them to exercise more by participating in physical sports like football, basketball, badminton and others. “What is happening now almost everywhere is that parents are concentrating on their careers and leaving their children to become couch potatoes of the 21st Century, getting addicted to computers and other electronic gadgets. “They just don’t get enough outdoor physical games,” he added. 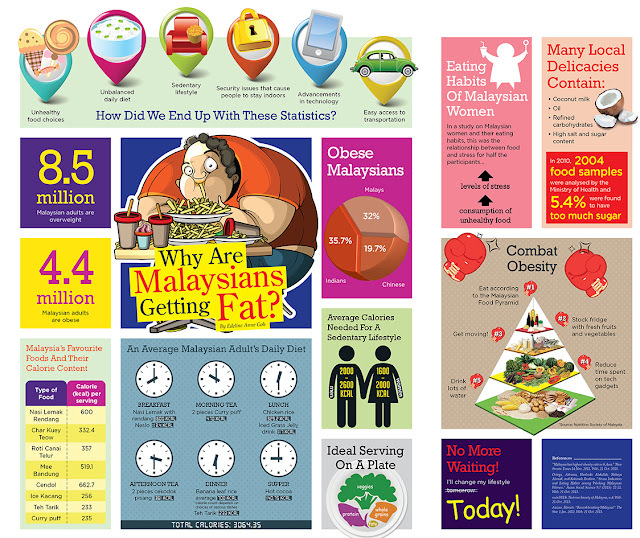 Syed Razak, who is Gerakan’s nominee to contest N.37 Bukit Lanjan in the 14th General Election (GE14), said: “It is perhaps time for governments, both state and federal, to look seriously into the obesity woes of Malaysians. “Perhaps, what the UN suggests make sense. Governments should start working with retailers, like in Singapore, to create a coordinated approach on packaging and promote a balanced diet, working with retailers to ban unhealthy and sweet foods and diversify farming to produce more healthy produce. “Also, perhaps, Malaysia should study and learn from Japan and South Korea have the lowest adult obesity rates in the world,” he added. Overweight children are at higher risk of becoming obese as adults and developing health problems like type 2 diabetes and high blood pressure. KUALA LUMPUR: Obesity rates among children in Asia-Pacific are rising at a rapid rate, and more action is needed to encourage healthier lifestyles and ease pressure on fledgling healthcare systems, researchers say. The number of overweight children under five rose 38% between 2000 and 2016 in the region, and the problem is growing, said Sridhar Dharmapuri, a food safety and nutrition officer at the UN’s Food and Agriculture Organisation (FAO) in Bangkok. Adult obesity rates are highest in the US, Mexico, New Zealand and Hungary, and lowest in Japan and South Korea, according to a report on member states by the Paris-based Organisation for Economic Cooperation and Development. Malaysia, Indonesia, Singapore and Thailand are among the most overweight countries in Southeast Asia, while Samoa, Tonga and Nauru are the most overweight in the Pacific. Australia also has high rates of obesity. The cost to the Asia-Pacific region of citizens being overweight or obese is US$166 billion (RM642 billion) a year, a recent report by the Asian Development Bank Institute (Adbi) said. The “obesity time bomb” will be discussed by the 46 member governments attending the FAO conference for Asia and the Pacific, which starts in Fiji from today. In addition to consuming more, as economies have grown, people in Asia-Pacific have moved away from farming into manufacturing, and then to service sector jobs – which are more sedentary, researchers said. Cities in Asia-Pacific have also seen unprecedented growth over the last two decades; this year more than half the region’s population will for the first time be urban, the UN has estimated. This new lifestyle has caused a rise in the consumption of convenience and processed foods, which often contain excess fats and more salt and sugar, researchers said. “The term ‘obesogenic environment’ has been used to describe an environment that promotes obesity among individuals and populations,” Elizabeth Ingram of the Australian Institute of Health and Welfare – a government statistics agency – said by email. “Being obese can also be seen as a sign of prosperity, because you have enough food to show your wealth through the fact that you have a lot to eat,” said Helble. Sugar taxes, which have been introduced or are being discussed in the Philippines, Singapore and Indonesia, are also one way to change people’s mindset, he added. “In some Pacific island countries, it’s actually easier to buy soft drinks and processed foods than buy fruits and vegetables,” said Dharmapuri. “It’s almost a delicacy to have a vegetable in a restaurant."